The old meeting place names seem to have been used to name the Hundreds, and even as late as 1894, the Hundred names were still significant enough to be inherited by the newly established Rural District Councils. 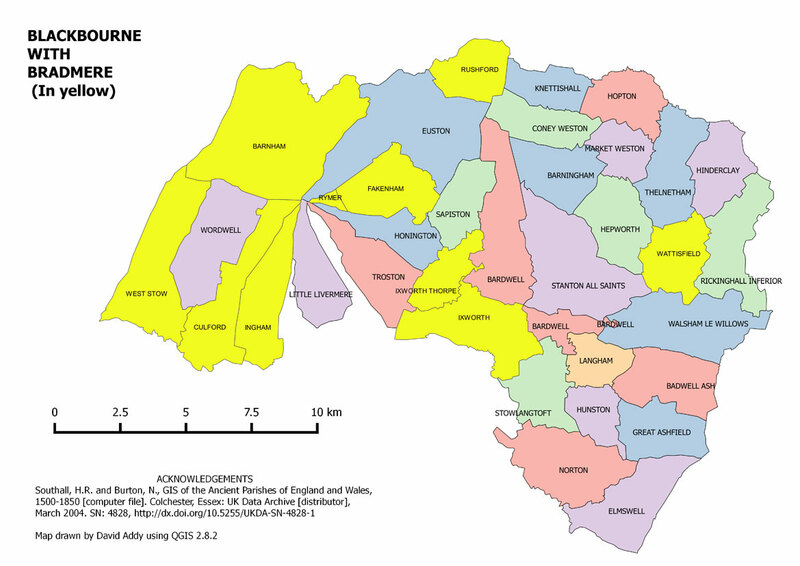 A few even survived the 1974 reorganisation of local government, notably Babergh DC. 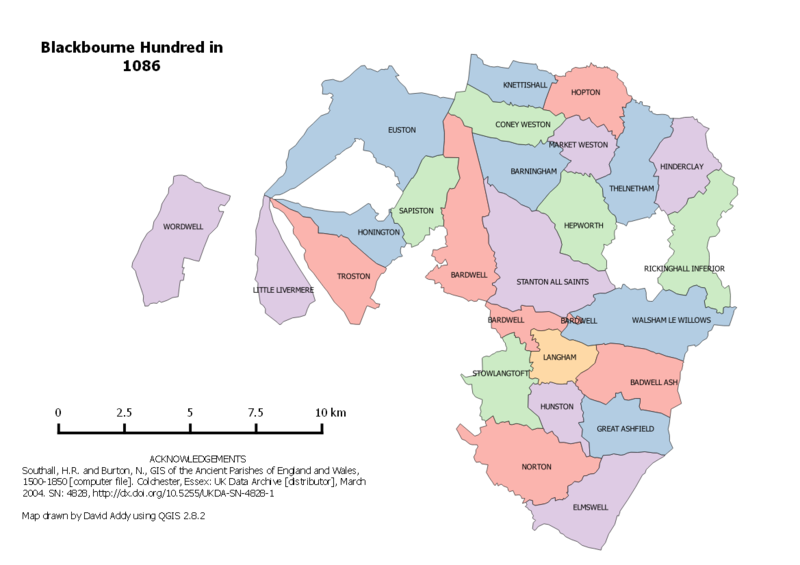 Bury St Edmunds itself must once have been part of Thingoe Hundred, but by 1086 it is apparently a separate unspecified unit. 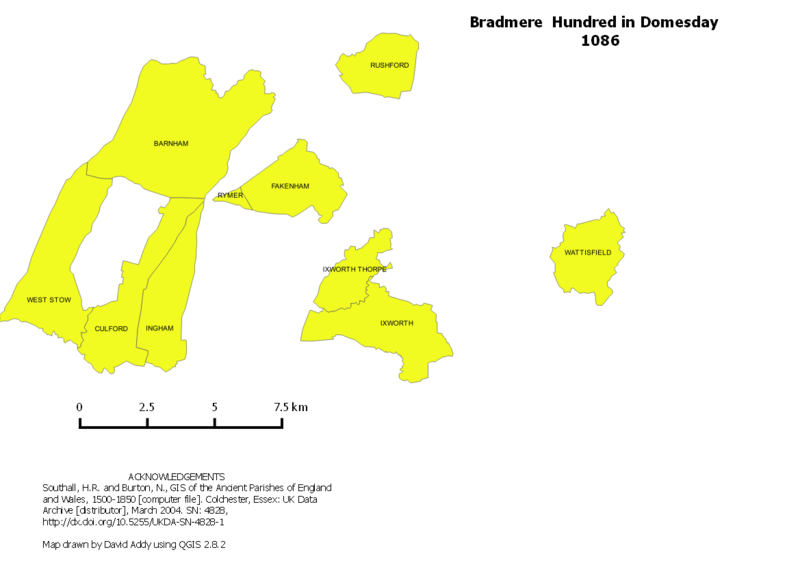 Bradmere or Broadmere Hundred had ceased to exist by 1100. Remnants of its existence were to be found in the Domesday Book for Suffolk. By extracting all the references to Bradmere from the Domesday Survey, we arrive at the fragmented and disjointed map which is shown here. 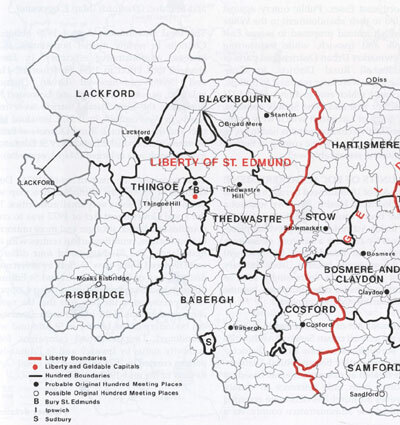 If the above vills or parishes, as we would call them, are extracted from the mid 19th century map of Blackbourne Hundred, we would arrive at Blackbourne Hundred as it may have been in 1086, shown below. 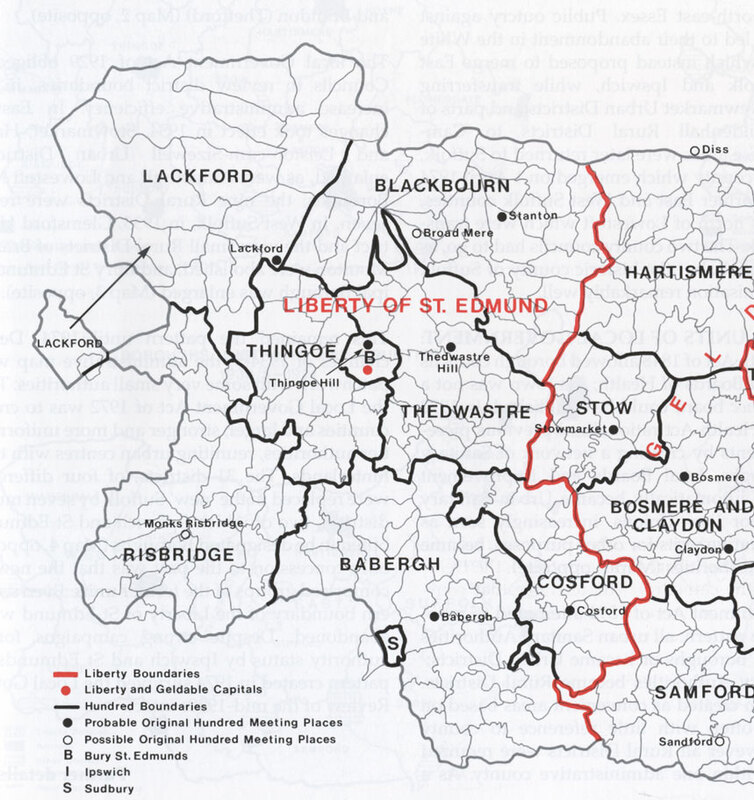 The final form of Blackbourne Hundred, as arrived at by the mid nineteenth century, and mapped by GIS, based upon the work of Southall and Burton, is shown here.